Is your business in the middle of a transitional phase where you’re either downsizing, expanding, or moving offices? 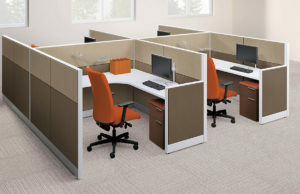 If so, turn to Business Environments for all of the installation or reconfiguration needs you may have for your office cubicles at your Plano, Texas, business. Our highly experienced team will make sure that your layout is functional and that everything is fully operational and set up on time. The team at Business Environments takes great pride in ensuring that your installation or reconfiguration is completed correctly the first time. That is why we assign each project its own manager who will oversee every detail from beginning to end. This will allow you to feel comfortable knowing there is always someone who will be readily available to answer any questions you may have. And, we even offer a lifetime warranty on all of the installation services we provide. 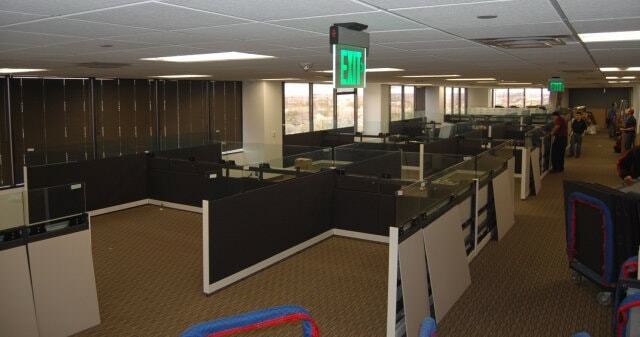 For more information about the services and installations we can perform for the office cubicles at your business in Plano, TX, or a surrounding area, contact Business Environments today. One of our knowledgeable team members will happily answer any questions you may have about our services.